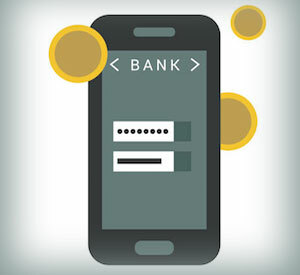 Each quarter, The Financial Brand shares the Power 100 social media database — a collection of lists ranking the top 100 banks and the top 100 credit unions on Facebook, Twitter and YouTube. 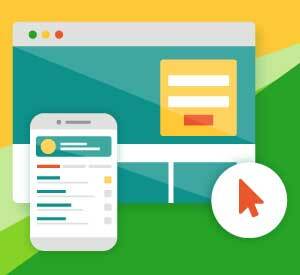 These rankings are based on a scoring methodology that awards points for varying levels of Facebook likes, tweets, Twitter follower, YouTube views, and YouTube subscribers. 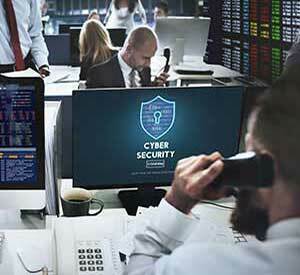 Using the underlying historical data powering the rankings, I’ve added some analysis to help credit unions benchmark their social media activity. 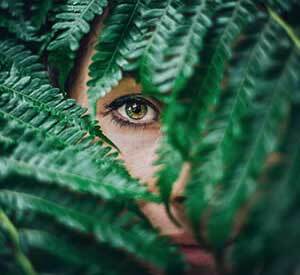 Why focus on credit unions? 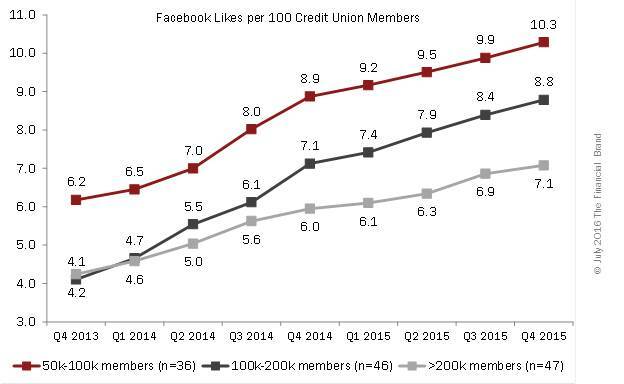 Because: 1) They tend to be more retail-focused than many community banks, and 2) we can get data on credit unions’ membership size which provides a basis of comparison and analysis to evaluate the social media data. 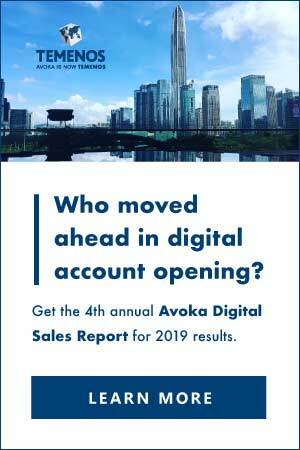 The following analysis incorporates data for 169 credit union over nine quarters, starting in Q4 2013, ending in Q4 2015. 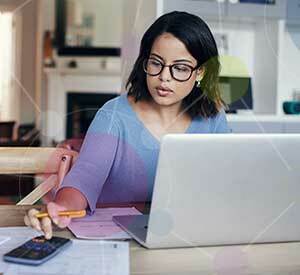 The data is not representative of the overall credit union population. 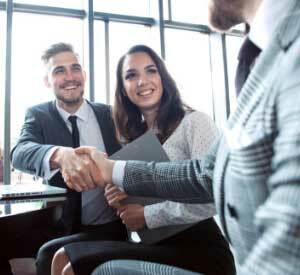 However, the 169 credit unions in the database have, in aggregate, more than 33 million members, about a third of the total US credit union membership. 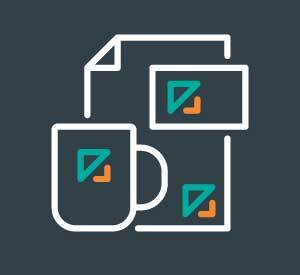 47 of the 64 credit unions (73.4%) with more than 200k members. 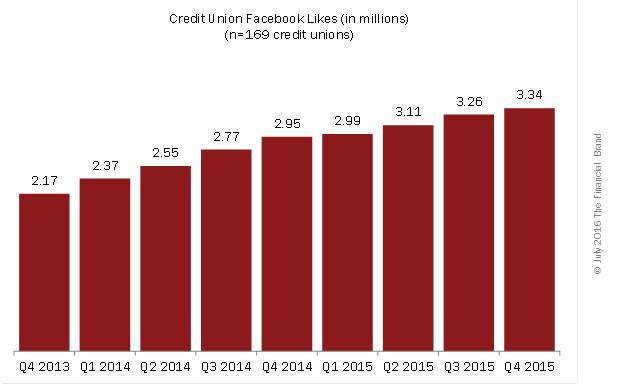 In Q4 2015, credit unions in the sample generated 3.34 million Facebook likes, up 54% from 2.17 million likes in Q4 2013. 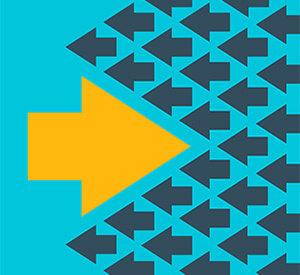 In 2015, the average quarterly increase was 3.2%, down from an average of 8% in 2014. 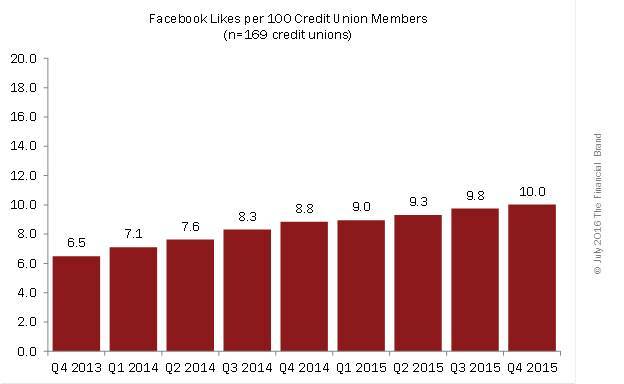 On a per 100 members basis, Facebook likes grew from 6.5 likes per 100 members in Q4 2013 to 10 likes per 100 members in Q4 2015, with two-thirds of the increase happening in 2014. 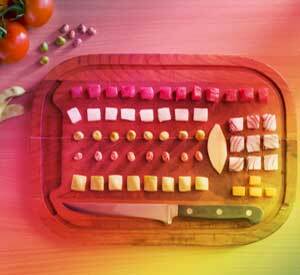 Mid-sized credit unions (those with 50k to 100k members) generally out-performed the larger credit unions. 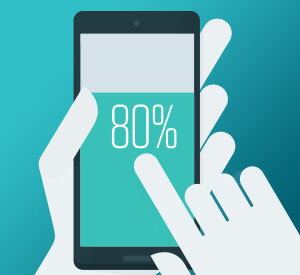 My guess is that, with a larger and more demographically diverse base of members, larger CUs find it harder to drive social media engagement than smaller CUs. 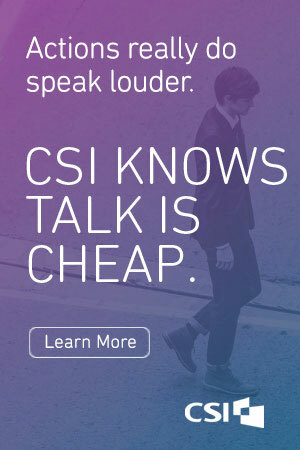 That’s certainly debatable, though. 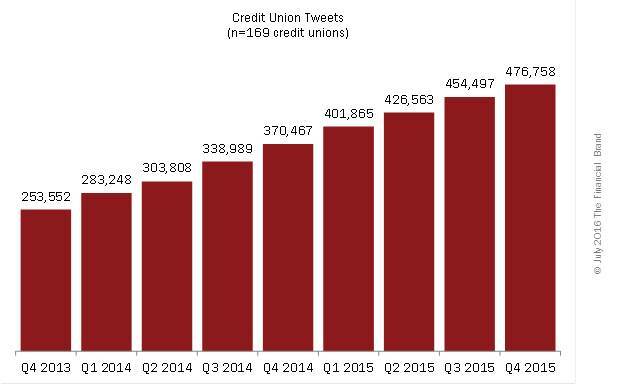 The credit unions in the database tweeted more than 476k times in Q4 2015, 88% more than they tweeted in Q4 2013. 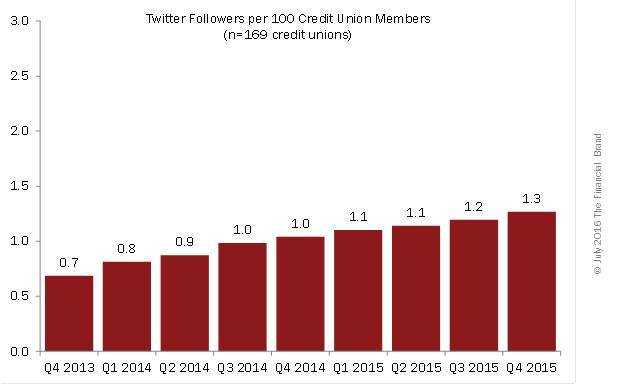 On average, in 2014, the credit unions tweeted 10% more than the previous quarter. 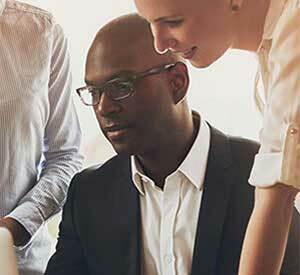 That average quarterly growth rate declined to 6.5% in 2015. 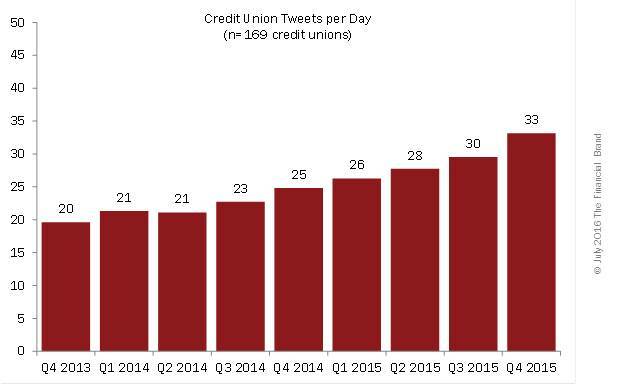 In Q4 2013, the credit unions in the sample sent out an average of 20 tweets per day. 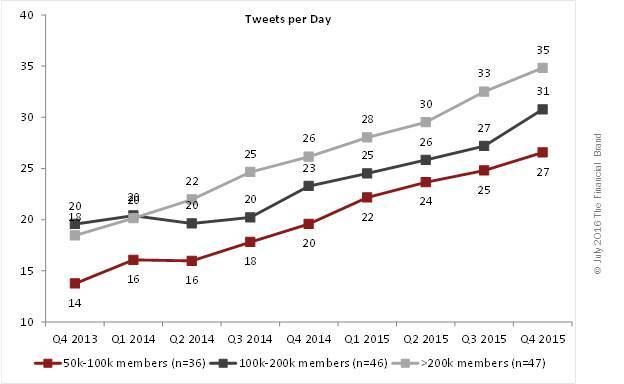 By Q4 2015, that average had grown 65% to 33 tweets per day, or about 4 per hour for an 8-hour workday (not than anybody actually works an 8-hour day anymore). 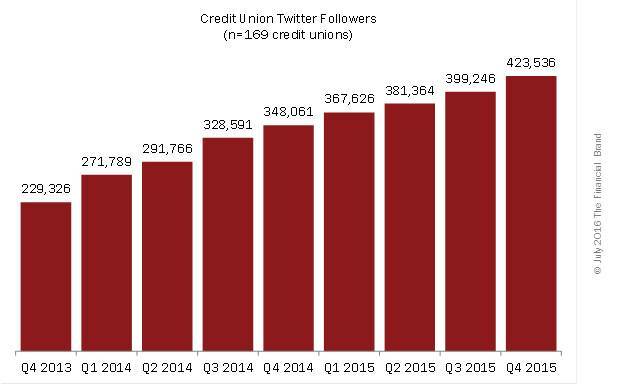 The larger credit unions have been the most active tweeters, but all three segments steadily increased their tweeting activity throughout 2014 and 2015.
Credit unions in the sample grew their Twitter follower base by 85% between Q4 2013 and Q4 2015, to more than 423k followers. On a per 100 member basis, that represents growth from 0.7 followers per 100 members to 1.3 followers per 100 members. 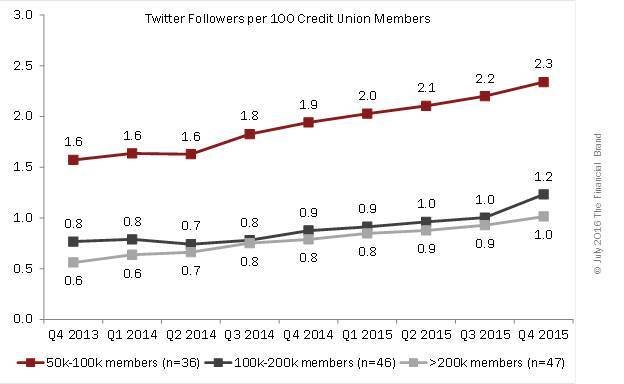 Similar to the trend in Facebook likes, mid-sized credit unions have attracted more Twitter followers than larger credit unions, drawing nearly twice as many followers per 100 members than credit unions with more than 100k members. 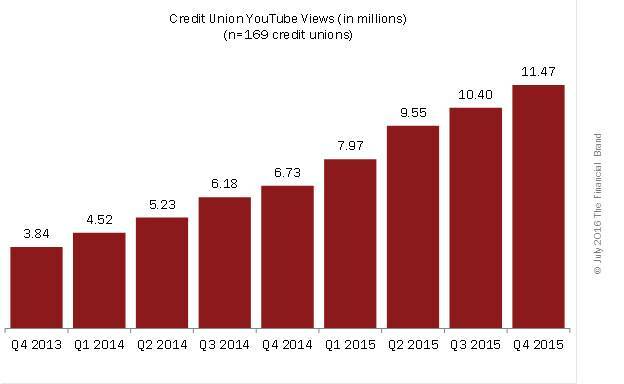 The quarterly number of YouTube views generated by the 169 credit unions in the database nearly tripled between Q4 2013 and Q4 2015. 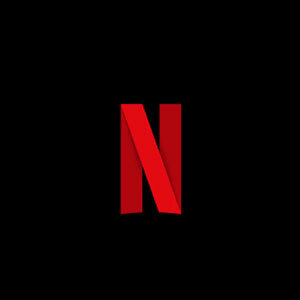 Unlike the other metrics, where quarterly growth rates declined from 2014 to 2015, the average quarterly growth rate for YouTube views steadily relatively constant throughout 2014 and 2015. 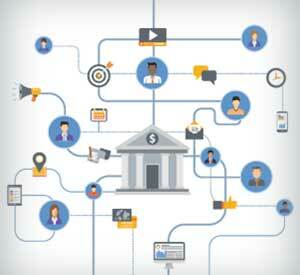 In Q4 2013, the credit unions in the sample generated 11.5 YouTube views for every 100 members. By Q4 2015, views had grown to 34.4 views per 100 members. 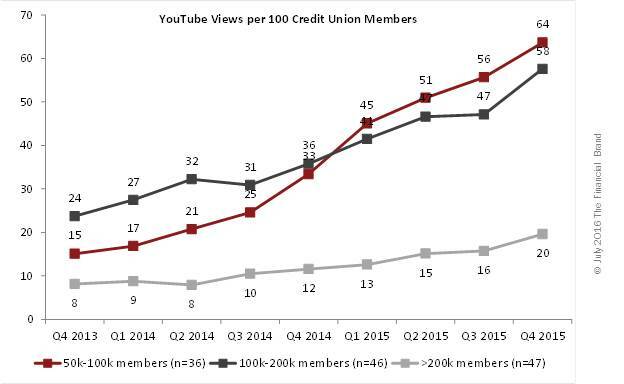 The largest credit unions (those with more than 200k) have lagged the smaller credit unions in views per 100 members. 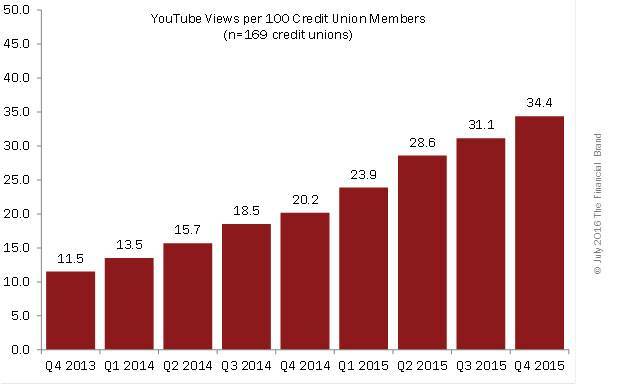 The credit unions with 50k to 100k members grew YouTube views per 100 members by 322% over the course of the nine quarters. 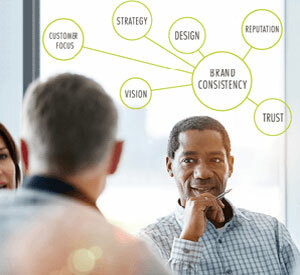 The effectiveness of marketing through Facebook, Twitter, and YouTube can be argued, and effective measurement and attribution of these efforts needs a lot of work. 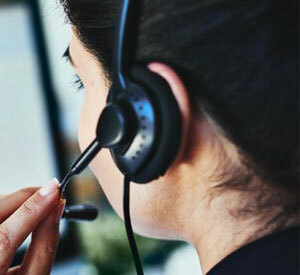 But there’s little question that credit unions have stepped up their social media marketing and communication efforts over the past few years. 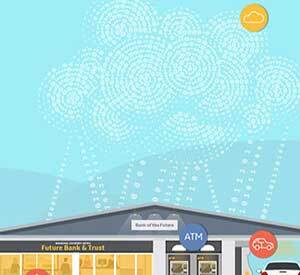 The Financial Brand (and I) believe there is no other source of data to prove this.